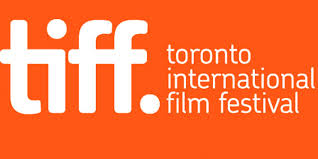 Just a quick update to inform you all that The Toronto Int'l Film Festival has announced the first 70 of an expected 250+ films today, and yes, Steve McQueen's '12 Years a Slave' will have its World Premiere at Toronto! Michael Fassbender will be there too! TYAS will NOT play at Venice this year, and that leaves the gate open for it to be show at the New York Film Festival and or the London Film Festival, in late September and mid- October respectively! I knew in my gut that a film like TYAS was saving itself for Toronto, and I'm glad it's not a Gala because that would mean it would screen at the Roy Thomson Hall and that place is a nightmare. I think this is Princess of Wales fare. If you're going to TIFF, make sure you order your 'Keep Calm and Watch a Fassbender Film' t-shirt in Toronto! After all the luck the fans at Comic Con had with meeting Michael... you never know, and with that shirt, you'll definitely stick out! Good for you, Simone!!!))) and those of you who will have a chance to attend TIFF. Well, we'll see how it is received. I'm going. If you don't hear from me, it means I died because I saw Michael.